Home » Blog » Hung Over Easter Bunny? 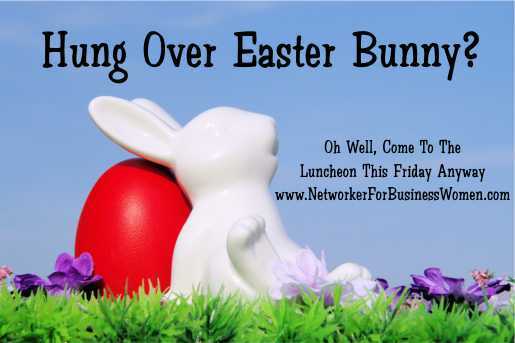 Feel like a hung over Easter Bunny? Oh well, come to the Luncheon this Friday anyway. You’ll make new business contacts, make new friends and continue to build the relationships that will move your business forward. We have a few spots left, but you have to sign up fast…as we are on first-come/first-serve now.